One of the most unique, all-inclusive and covetable Hendersonville wedding venues in the area is The Horse Shoe Farm. Over eighty acres of sprawling farmland is back-dropped by the magnificent Blue Ridge Mountains. Our stunning yet Best Wedding Venues In Nc property is the perfect place for exchanging nuptials. The historic French Broad River snakes gracefully through the area. Over time, the river carved a distinctive horseshoe arc into what some claim to be the luckiest bend sculpted into her bank. We’ve taken both some good fortune and inspiration from this arc in naming the property, which features several guest homes, event venues and stables. Unlike most Hendersonville wedding venues, The Horse Shoe Farm offers all-inclusive packages that cover everything from catering to lodging. Mountain Wedding Venues in Nc are the perfect place for that private getaway. The Civil Ceremonies package includes use of the property for the entire day, and accommodations for up to 500 guests. Couples can also choose from our selection of indoor event venues, including The Big Sky Barn, The Sunset Barn or The Stable House. The climate-controlled buildings serve as great options for indoor wedding ceremonies or receptions. 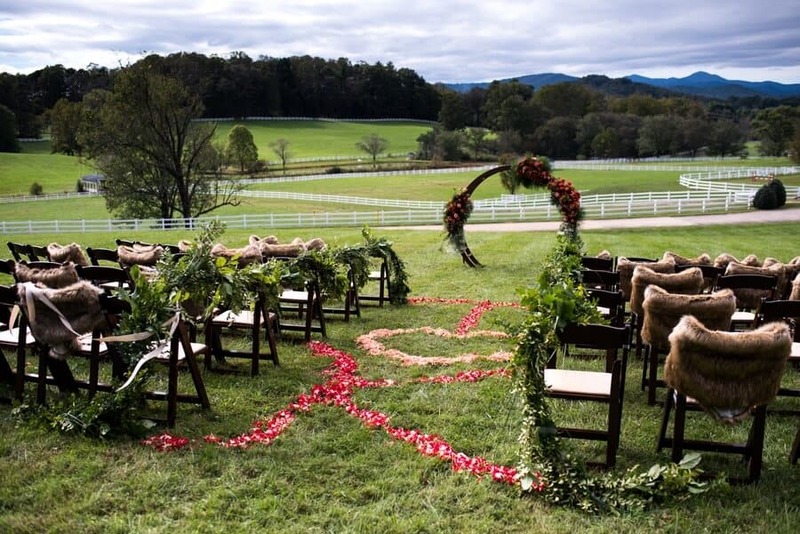 For couples who prefer an outdoor ceremony back-dropped by the impressive Blue Ridge Mountains, our staff can be available to assist in the coordination of delivery/pick-up of rental equipment. Couples can also choose from our Exclusive Package, which includes everything aforementioned in the Civil Ceremonies package. However, we also include exclusive use of grounds and all homes for three days and two nights. 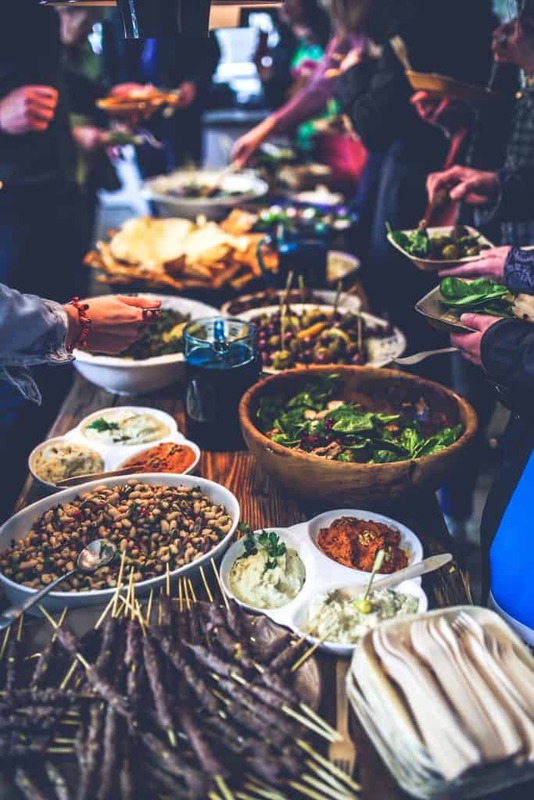 This option is especially popular for out-of-town guests who can comfortably stay just a few feet from the festivities. Explore The Barn Wedding Venues In Nc And Yourself. The Exclusive Package also includes the use of The Silo Cookhouse & Catering Kitchen, as well as The Big Sky Barn, The Sunset Barn and access to our pristine pasture and fields. From small, intimate ceremonies to large, bustling celebrations, The Horse Shoe Farm can accommodate it all. Allow us to tailor our services to your specific needs and create the wedding day of your dreams. Contact us today to book up one of the most unique, luxurious and spectacular Hendersonville wedding venues in the area.